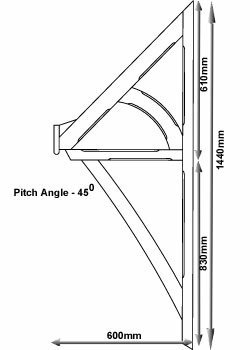 As with all our canopies it comes in two standard sizes – 1050mm between the brackets and 1200mm between the brackets. 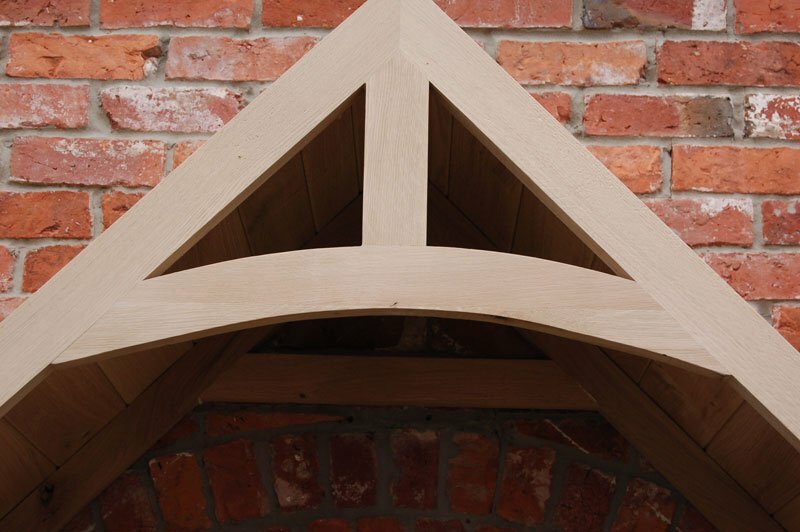 Available in Redwood and quality Kiln dried European Oak. 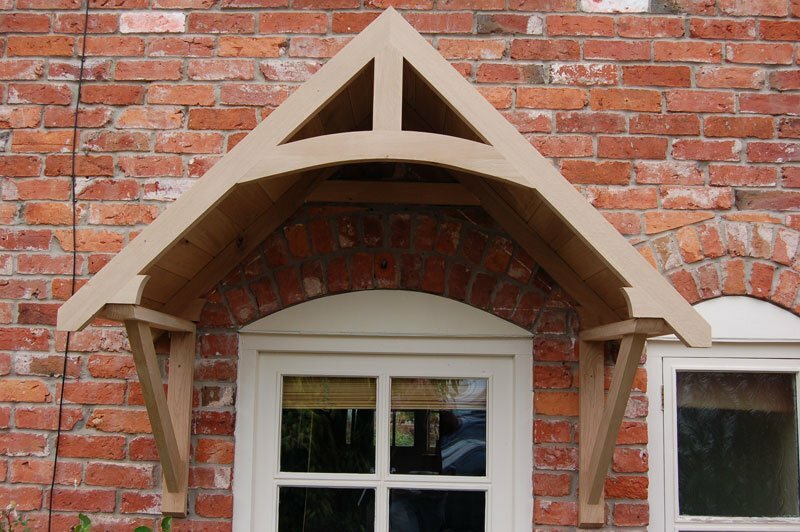 Postage and Packaging on all door canopies is only £20.00 + vat to all mainland UK addresses. 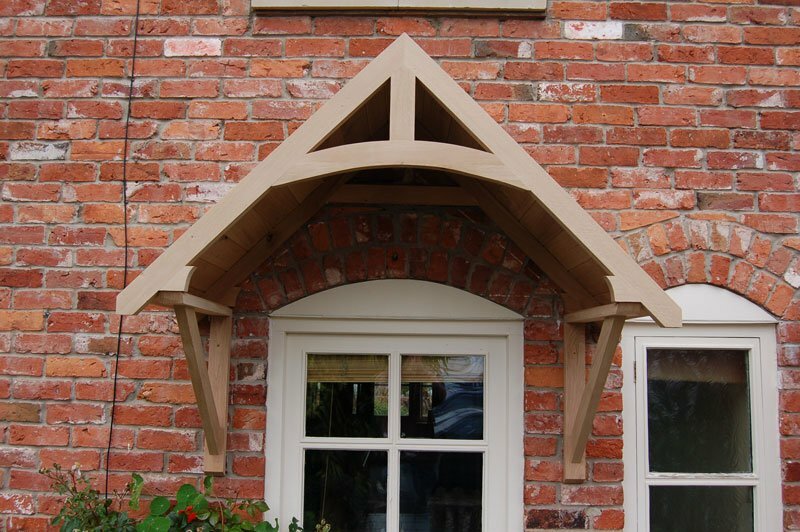 This canopy is in stock and dispatched within 24 hours. 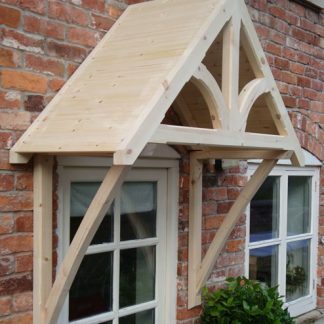 The canopy will require painting or staining and it is intended to have further roof covering on top of the boarding. 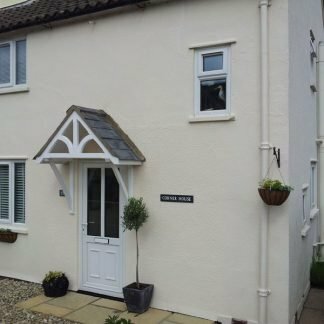 It is designed to withstand the weight of slates or tiles. 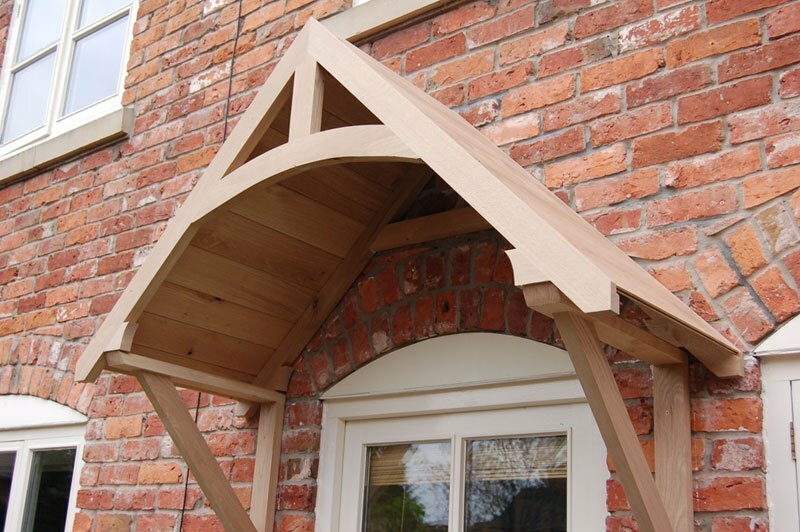 All our Oak canopies are made from first quality, dried, European Oak. It is all F.S.C. certified. 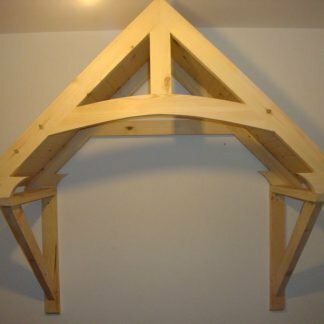 The standard canopies are made from a 70mm x 36mm section. The tongue and groove boarding is 10mm thick. 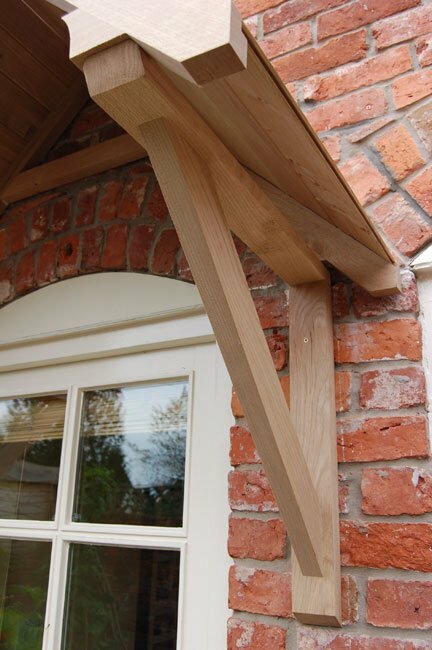 The smallest size has 1050mm between the brackets and is designed to fit a standard doorway of 920mm. 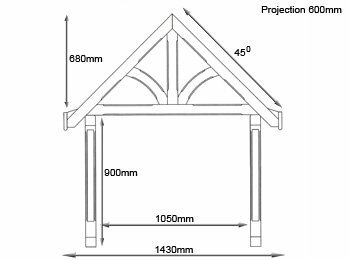 Download PDF instructions and detailed specifications. Prices are shown without VAT. To see the full price, use the Add/Remove VAT toggle. VAT is added at the checkout and itemised.